Chelsea fans get almost as much fun watching teams in La Liga this season as they do their own, especially when Madrid are involved. We’ve got Alvaro Morata at Atletico and Courtois at Real, and we love watching how they get on. 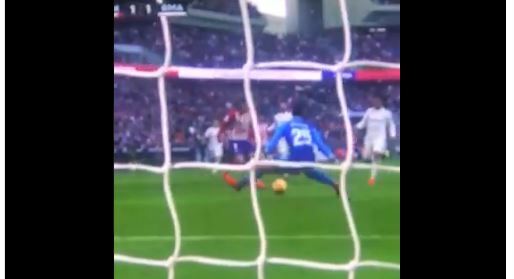 The ever unpopular Courtois was nutmegged – as it traditional – by Antoine Griezmann as he equalised in today’s Madrid derby. The Belgian had earlier been pelted with plush rats by his former fans at the Wanda.